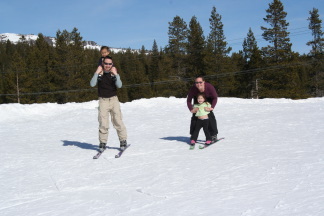 On our way home from Tahoe, we stopped for a short ski day. 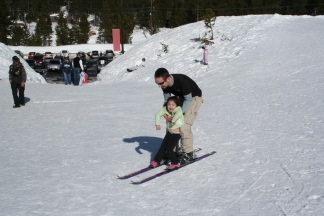 Mommy and Daddy got to ski together for the first time since before they became a mommy and daddy and the kids got to play with Gaga and Papa in the lodge. 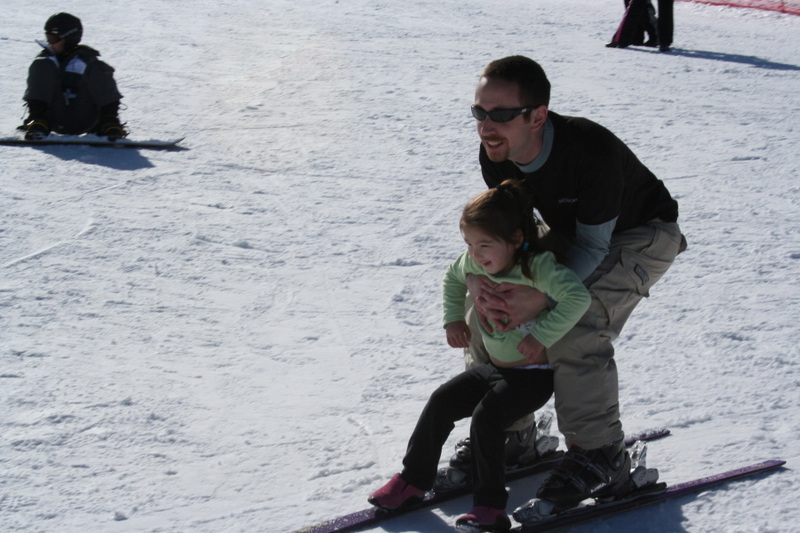 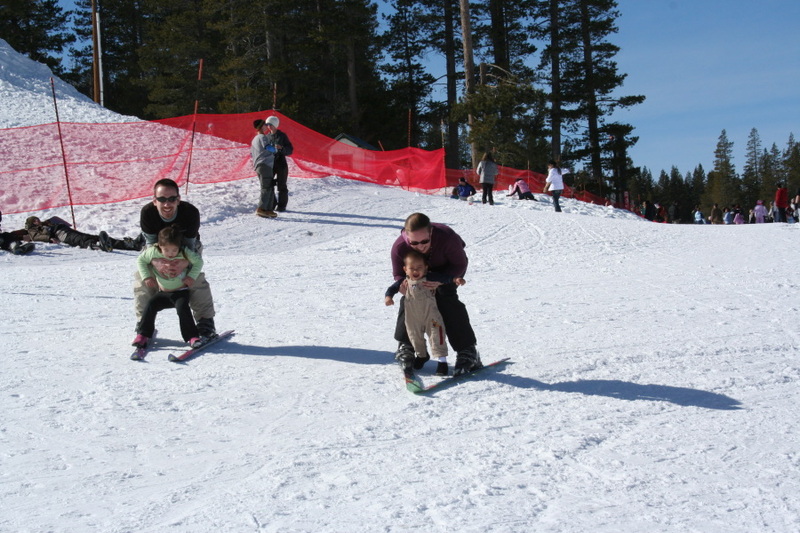 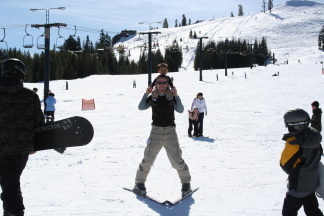 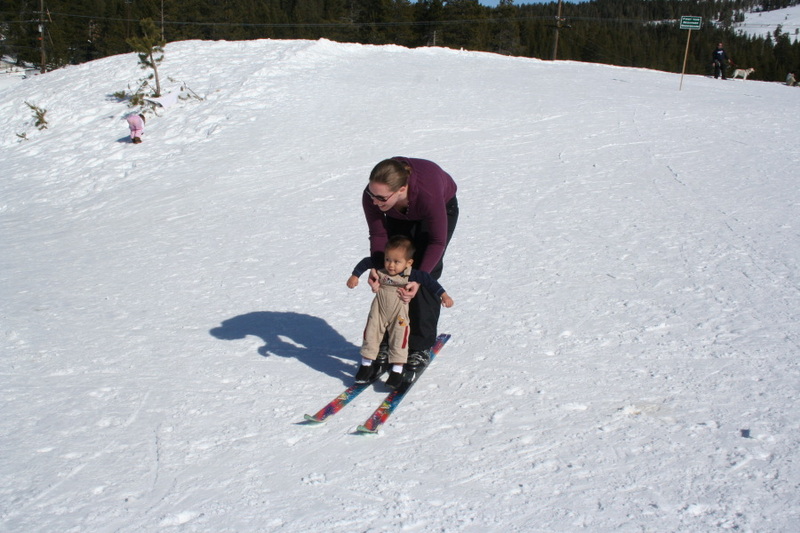 After a little Mommy and Daddy ski time, we took the kids skiing with us. We just stayed in the area right in front of the lodge and took turns putting each of the kids on the skis in front of us. They had a blast and so did we. 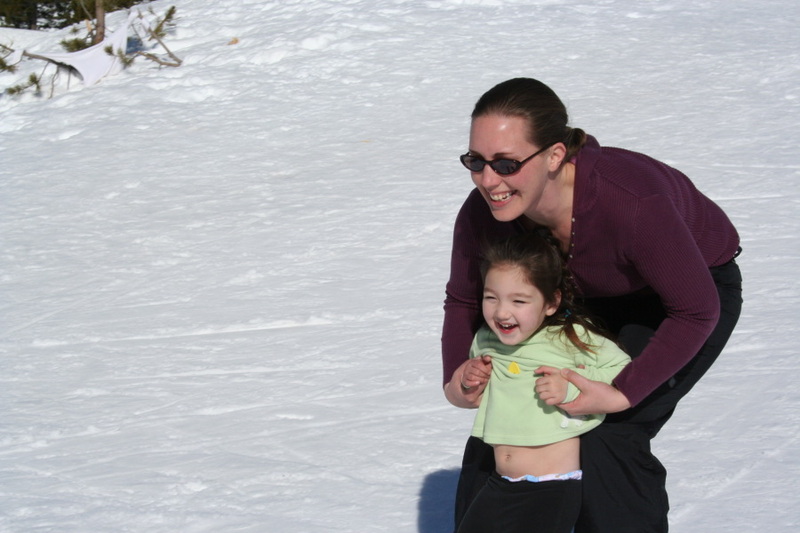 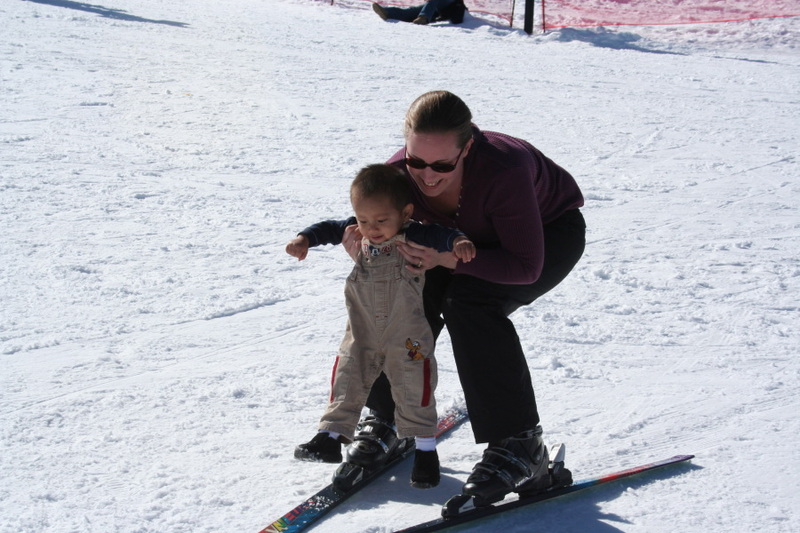 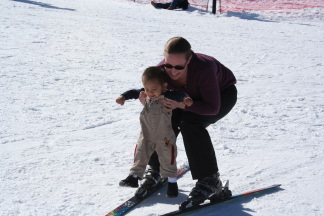 We can't wait till they are big enough to be able to really ski...maybe next year.